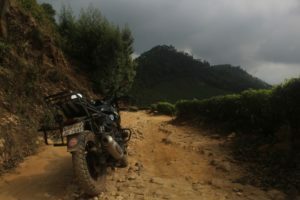 The popular destination for adventure travelers, a motorcycle trip around India is one of those adrenaline experiences many would love to have but don’t dare. It’s certainly an adventure, and if you feel overwhelmed by it, you are justified. 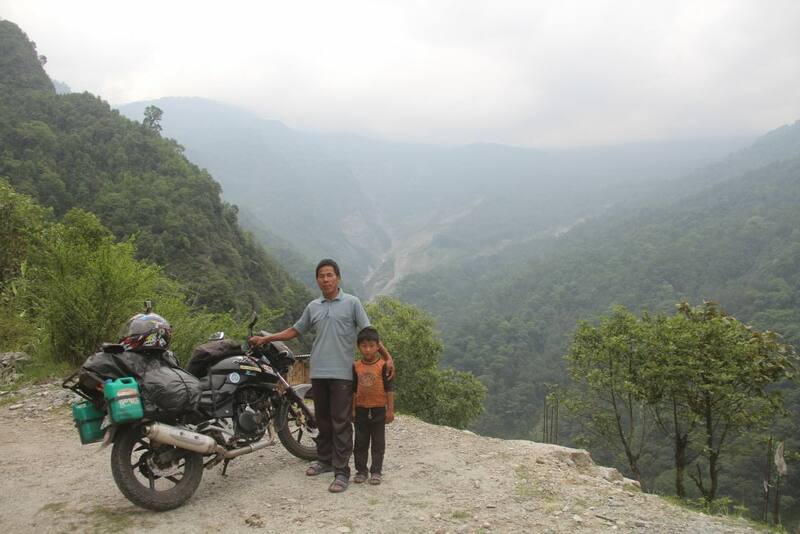 This is why we interviewed Ali, an Indian motorbiker who just finished his journey across India. 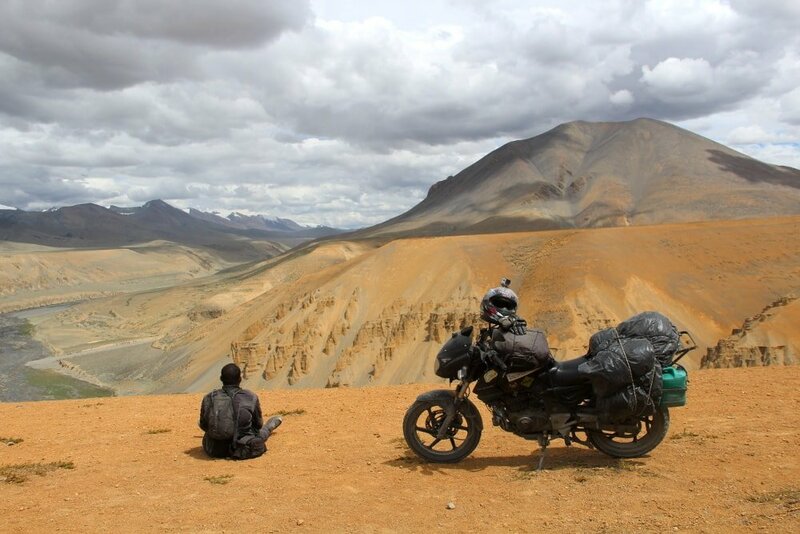 Read his tips on how to embark on a motorcycle trip around India and get inspired. Solitude is for Ali the main essence of life. Being happy and content with one’s own self, the true joy of travelling. 1. Could you tell us a little about yourself? I am a crazy guy whose life is kind of stuck between a love for two wheels and the love for travelling. For a living I restore vintage bikes and cars and when not restoring I’m travelling on my motorcycle. This way I’m always doing something I love and following my passion. 2. What are the things you liked the most about your motorcycle trip? Freedom… While travelling on a motorcycle you are free. Free in the sense that you can visit any place at any time, even explore roads less taken as you don’t depend on anyone and two wheels can go almost everywhere. The freedom involved in travelling on a motorcycle is what I truly like. 3. What are the things you didn’t like about the trip? There is nothing that I didn’t like about this trip. Everything was an experience and learning opportunity. But yes, there was one thing that I didn’t quite like, that I had to stop and end the ride. I would have loved to just go on and on. So basically this motorcycle trip around India ending was the only thing I didn’t like. 4. What made you decide to do a motorcycle trip around India? It was a crazy idea for one mad guy who wanted to travel his own country. Just the pure love and inquisitiveness to see and explore every nook and corner of the country he was born in, the different types of food, cultures, places and to meet and connect with the people and the soil. From my other travels, I have realised that on a motorcycle is the best way to travel in India. Let’s face it, in India everybody gets sick at least once. Whether you have a sensitive stomach or not, if you are traveling to India, make sure you have a travel insurance that covers also medical expenses and a return flight in case you get sick and prefer to get home. World Nomads has a great coverage that you can buy, extend and claim when you are at home or if you have already left and are traveling. 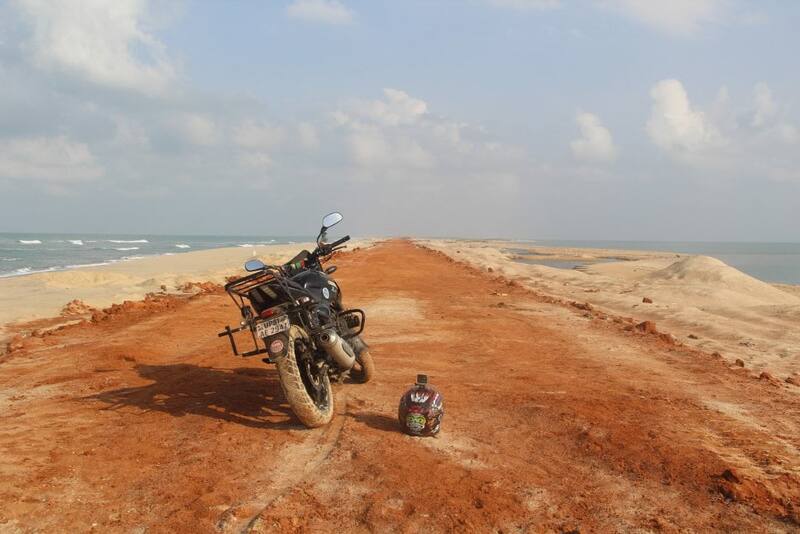 Dirt roads into the sea of Rameshwaram, Tamil Nadu. This is the southernmost tip of India. 5. What are your tips for other motorcycle travellers who want to travel to India? Simple things like to travel light and not to carry too much stuff. Carry enough spares for your motorcycle and of course some necessary tools too. I recommend not to ride late into the night and, most importantly, to always be happy and cheerful to people. If you carry a happy and humble smile on your face people are surely going to treat you with open arms everywhere. ⇒ Tip: To avoid unpleasant surprises, check out when is the best time to visit India and how to avoid getting sick. 6. Can you tell us if this trip helped you learn something more than you already knew about your country? Yes, it did. I’ve been travelling since 2006, but there are still a lot of things that I didn’t know about my country. Before this journey, many people had told me lots of stories and myths, especially about the northeastern part of India. Like about it not being safe, people there not being helpful, not to ride there in the night and other such prejudices. I was happy that I actually went and travelled the Northeast. Everything I had ever heard was a lie. It was an eye-opening experience for me totally contradicting everything I knew. I can proudly say that my journey in the Northeast was the best part of this trip. The people were amazing, totally hospitable and genuinely caring. If you’ve ever planned a trip to India and skipped the Northeast because of what you’ve heard, trust me you have truly missed exploring one of India’s most amazing places. The people are just beyond imagination, it’s totally safe and of course, boasts some really breathtaking views. 7. Which states of India did you visit? What unexpected aspects and places did you find around the country? I travelled to all the 29 states of India. It was huge, big and versatile, with many languages, foods, cultures, and traditions. Full of colours and a happy place. When I was travelling in Tripura (an Indian state), a guy told me about a place called ‘Unakoti’. I had never heard of it before, so on this trip, I went there. It was a beautiful place, I enjoyed plenty of their traditional food. A butcher of a pork shop at Ali’s pit stop. He and his son excitedly came to him and asked to take a picture of them with my bike. 8. Are you confident to say it is safe for foreigner travellers to do a motorcycle trip around India? Of course. An absolute yes. India is a safe country for any traveller, even foreigners. But for a motorcycle trip around India, you have to keep some tips in your mind, such as not to ride in the night especially in remote areas. Don’t camp everywhere indiscriminately, and before you set camp to check the place yourself and also with the locals about the area being safe or not. 9. Which states and cities do you recommend for foreign motorcycle travellers? This is a difficult question for me. India is vast and has something for everybody. 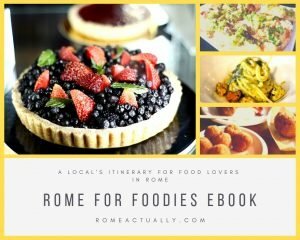 I would say, if you love food then places like Lucknow, Hyderabad, Kolkata, Varanasi and Mumbai are the perfect cities for you. For old architecture and history, head to places like Rajasthan, Madhya Pradesh and Gujarat. For adventure, peace and fresh air of the mountains, pick the Northeast parts of India, Himachal Pradesh in the stunning Spiti Valley, Uttarakhand, Jammu and Kashmir. While for some greenery, clean beaches and sea breeze Goa and the South of India should be your choice. 10. Can you tell us what is necessary to pack for travellers going on a motorcycle trip around India? The most important thing is that you should pack light. Travelling light is the best option to enjoy your trip. This doesn’t mean that you should leave out on the important stuff, though. A toolkit– it’s very handy and has all the right tools and easy to carry roll-up pouch. Rain gear for yourself and your bags, when traveling long distances you can easily come across a heavy monsoon and in that case, the last thing you want is to be soaked in water. Check out these excellent waterproof pants, boot cover, dry bag, and jacket. Necessary spares for the bike type your riding such as a clutch, accelerator wire, fuse, bulbs for the motorcycle light and spark plugs. with HD Audio, it Connects 2 to 15 riders. Ear Plugs – Excellent Low-Pressure Disposable Foam Earplugs. Fix-A-Flat – it works amazingly to get you to a repair location when you have a flat. This is a must have item. Headlamp – they are mainly used for a power outage, to do general tasks around the house and very important to carry when you travel long distances. Power bank– its very important to have one that can charge your phone countless times. Side bags and hard-topped top cases that can be fitted on your motorcycle. Use only the best quality helmets, jackets, motorcycle boots, best pants, protective glasses and good leather gloves so that your health is taken care of. 11. Did anything unusual and worth telling about happened to you or your motorcycle during this trip? Yes! This journey surely changed a lot about me. I was an introvert guy from a small town in Northern India, but by travelling my approach and outlook changed a lot. Today I have many good friends all over India. As for my motorcycle, I did have a few flat tires in the middle of nowhere, chain locks broken, battery discharge, self-starter refused to work and many other adventures like these. But it’s all part of the fun and makes the journey worth it. 12. Are you planning to do another motorcycle trip? If yes, what is your next destination? Yes of course! I am always planning a motorcycle trip. Right now I’m in Goa. I’m hoping my next destination would be somewhere in the Himalayas. For some more adrenaline and inspiration, check out some great travel quotes and the video Ali made out of his motorcycle trip around India! Ali is an Indian motorbiker who just finished his journey across India. You can follow more of his adventures on his Facebook page and Twitter and Instagram profile.